We knew some Pakistani girls living in our dorm who would cook the most aromatic dishes in the community kitchen when the cafeterias were closed during the university holidays. Sometimes Highlander would offer them a ride to the grocery store in his college clunker car. In exchange for his “taxi service,” they prepared a plate of potato cutlets (aloo tikki), boiled basmati rice and some sort of spicy curry for us. They also taught Islander how to make aloo tikki for her future husband. 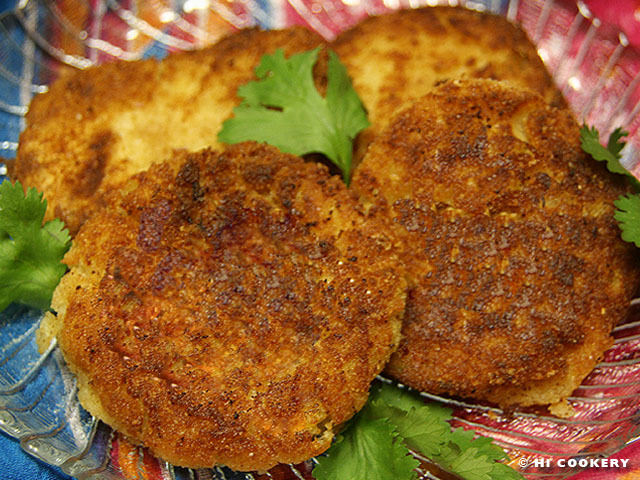 Below is a basic recipe she learned for Pakistani-style potato cutlets to post on another National Potato Day. Cook, mash the cool down the potatoes. Season with salt, pepper, chili powder, garlic powder, onion powder, garam masala, cumin seeds and cilantro. 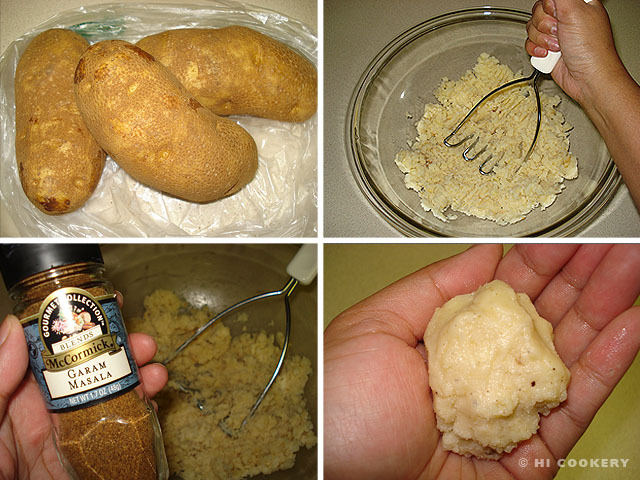 Pinch out two-inch rounds from the potato mixture and form balls. 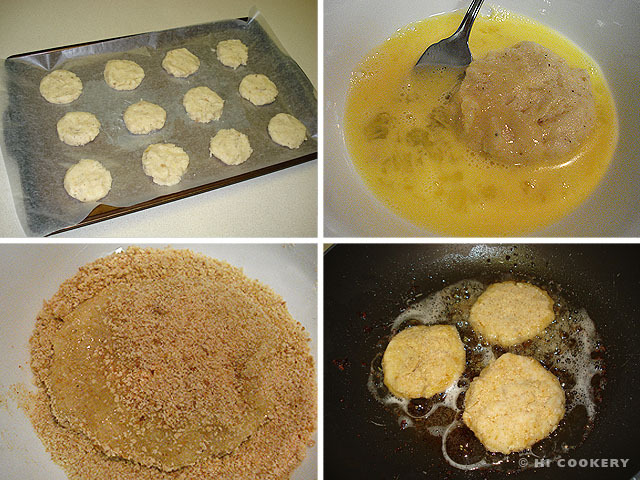 Flatten the potato balls into ½-inch thick patties. Dip in egg and then into the bread crumbs. Fry each side in oil until golden brown. Drain on paper towels. Garnish with cilantro. National Potato Day is also celebrated on August 19. Search our blog for more posts on potato recipes. Garam masala can be found at Indian and Asian markets or in the spice section in large grocery store chains. McCormick’s makes garam masala more widely available as part of their gourmet collection.